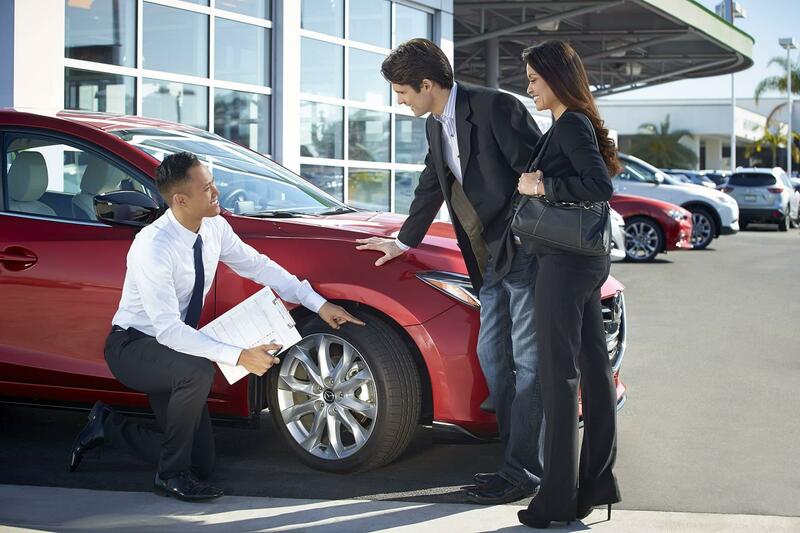 Mazda Full Circle Service is a comprehensive, no-surprises approach to maintaining your Mazda. 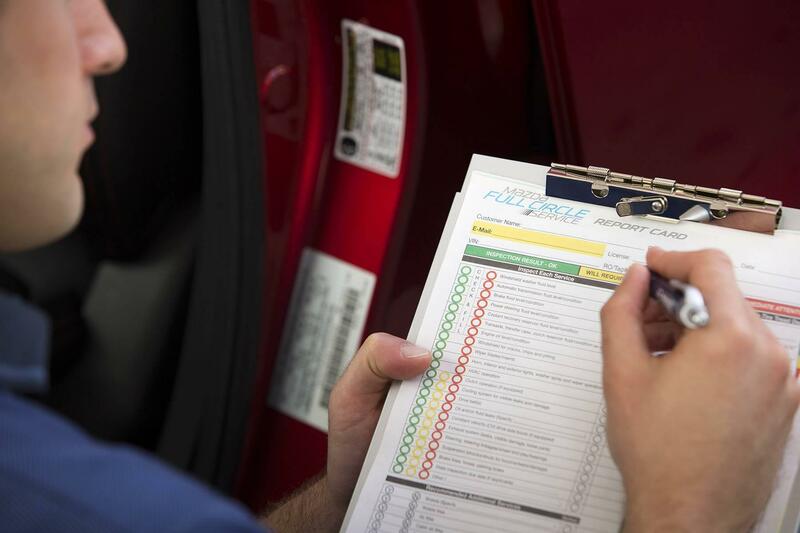 Every time you visit the service department of a Mazda Full Circle Service dealership you will receive a complimentary Full Circle Service Inspection and Report Card, detailing anything on your Mazda that may need attention—now or in the future. 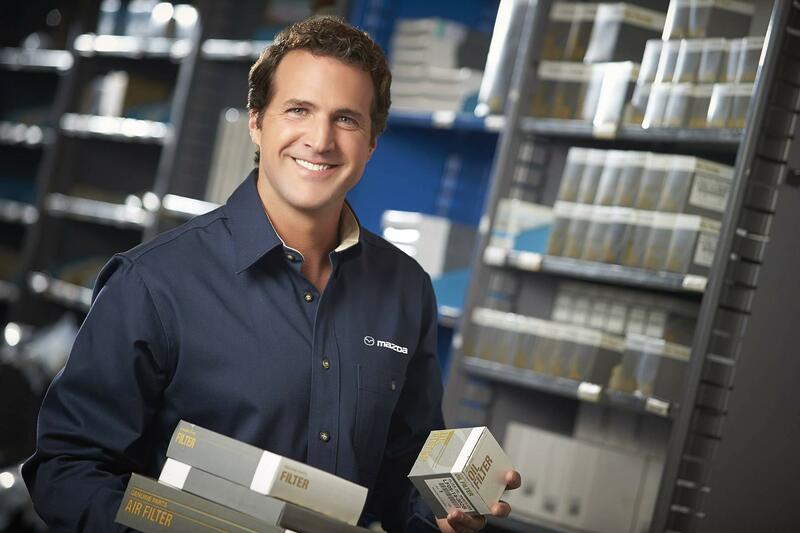 All Mazda Full Circle Service dealerships are staffed by Mazda service professionals and use Genuine Mazda Parts and equipment designed specifically for your vehicle. Genuine Mazda Parts and Genuine Mazda Body Parts provide unsurpassed quality, fit, finish, appearance, corrosion resistance, safety and warranty coverage. They are crafted from the same blueprints as the original parts, made to fit your Mazda model perfectly and guaranteed to perform with the same quality and wear as on the first day you drove your Mazda. They are the only parts specifically covered by the Mazda warranty. Request Genuine Mazda Parts and Genuine Mazda Body Parts to ensure your vehicle receives the best treatment. “Fix it right the first time” pledge includes free pickup and delivery of customer’s vehicle as well as a complimentary rental vehicle supplied by Morrie’s Automotive Group if we fail to correct a vehicle issue as a result of our error. 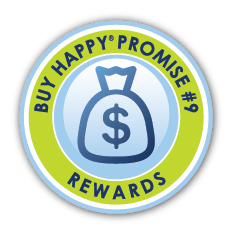 SHOP AND EARN TOWARD YOUR NEXT CAR. Why not earn money toward your next car while you’re serving your current one? With every dollar you spend in service you’ll do just that.